At one time, potatoes were only eaten by Americans. Then Columbus came along, and potatoes spread all over the globe, where people eat them in all manners, but none more than fried. Hot fried potatoes, crispy on the outside and tender on the inside, are so universal that they are often just called “fries” in the local language. But once you’ve cooked them and named them, the method of eating them varies from place to place. Of course, in any country there are many different preferences, but tradition and taste fall into different styles in different places. Belgium is considered to be the birthplace of the fried potato. Belgian fries (frites) are the centerpiece of a meal, not just a side dish. And Belgian chefs are very proud of their fries, competing to serve the best in their chip shops, or frietkotten. They are served hot in cardboard cones to make them easy to eat as you stroll, and a variety of sauces are offered to top them. Photograph by Flickr user David Kosmos Smith. 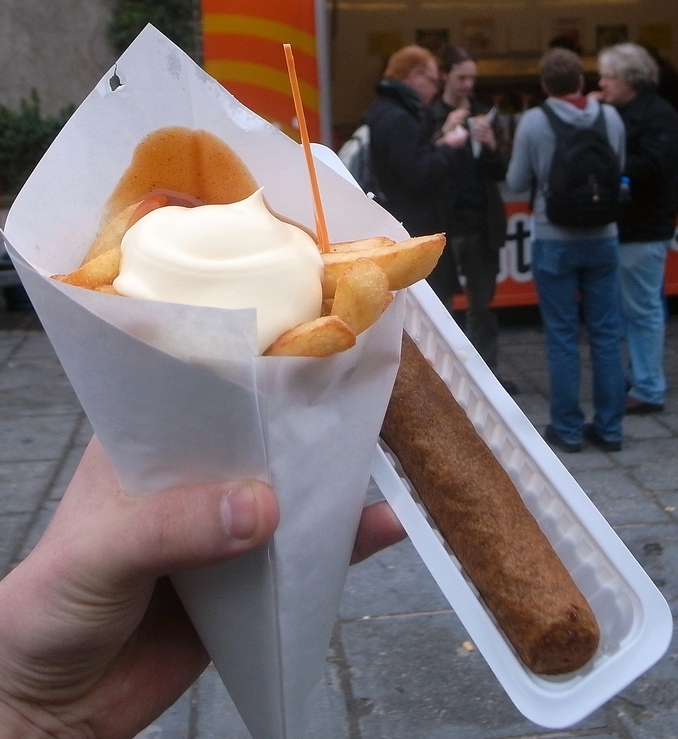 Fries in the Netherlands are cooked in the manner of Belgian fries, but Americans may be dismayed by the Dutch choice of condiment: mayonnaise. 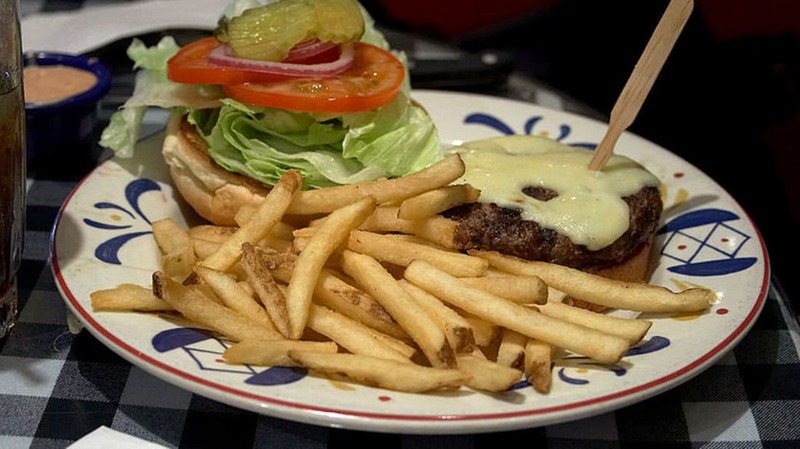 Dutch mayonnaise is a little spicier than American mayonnaise, and Yanks who’ve lived there become used to the flavor on their fries, and often grow to love it. Although a variety of sauces and dips are available for pommes frites, rémoulade is very popular, not only in France, where it originated, but in Denmark, Iceland, and Scandinavia. Rémoulade has a mayonnaise base, with the addition of pickles, horseradish, curry, anchovies, or other flavorings. It was developed for use on seafood, somewhat like tartar sauce, but is used on a variety of dishes. 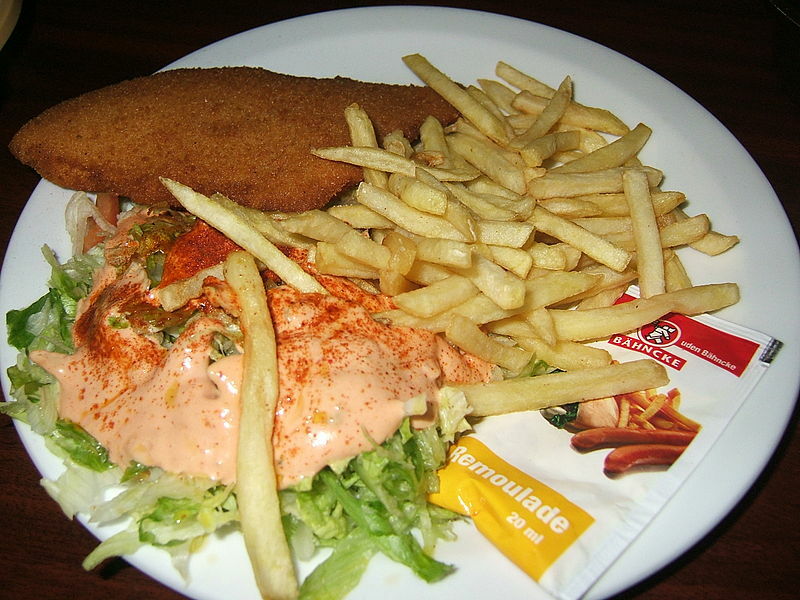 The flavor and appearance of rémoulade varies by region. Photograph by Flickr user Derek A. 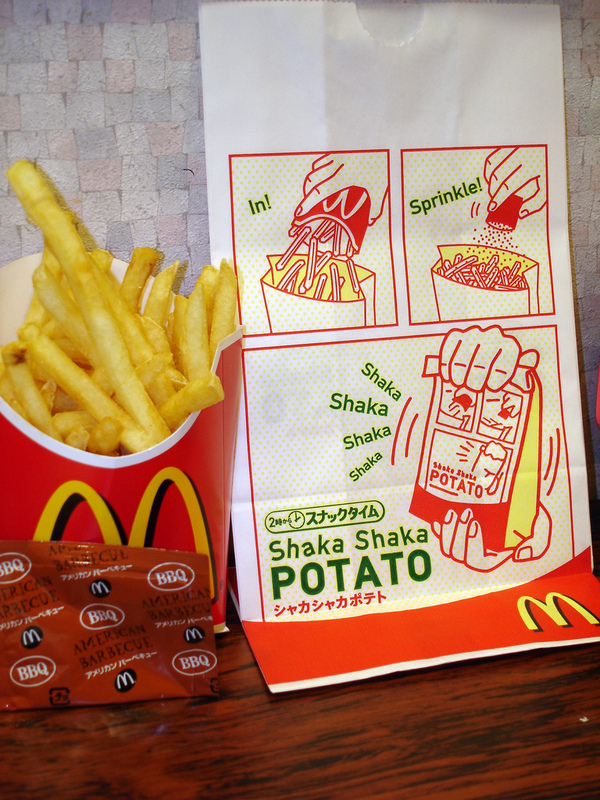 In fast food restaurants in Japan, fries (furaido potato) are offered with seasoning powders to sprinkle on top. The toppings come in a variety of flavors made with dried soy or other sauce, ground seeds or seaweed, and spice mixtures. A few fast food outlets will provide a bag in which to shake your fries with the flavoring powder of your choice. This custom is also followed in Hong Kong, Singapore, and other Asian locales where fries are sold in fast food outlets. Fried potatoes in the Philippines are served with banana ketchup. 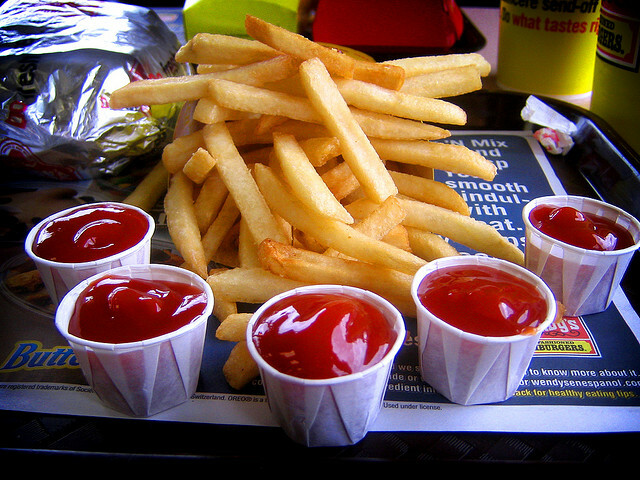 When fried potatoes were introduced to the country by Americans, they were served with tomato ketchup. However, disruption in supplies led to a tomato shortage during World War II. Instead of doing without sauce, Fillipinos turned to what they had, which was bananas. Mashed bananas with vinegar, sugar, and spices made for a fine ketchup substitute, which caught on and is still in use today. Why import tomatoes when you have a home grown crop that instills national pride? Banana ketchup is used on other foods as well, like chicken and spaghetti. Those who’ve had banana ketchup says that it is sweet and spicy and tastes nothing like bananas. 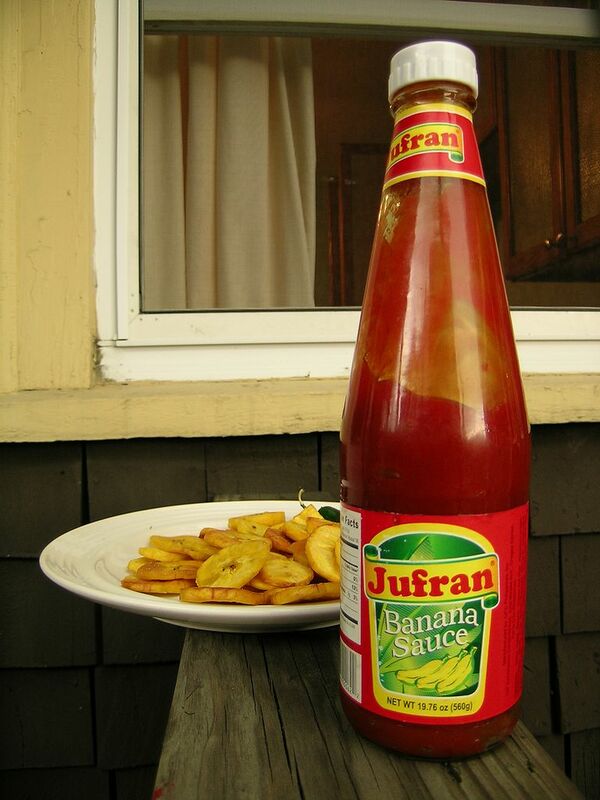 The red color is artificial, but you can make homemade banana ketchup without it if you like. In 1957, French Canadian chef Fernand Lachance took fries and make them into a heavenly mess called poutine. Hot fries are topped with gravy and cheese curds, all served hot so the flavors will meld. Poutine became a hit, although some call the calorie-laden snack “junk food.” It spread across Canada, and is even served at some fast food chains. 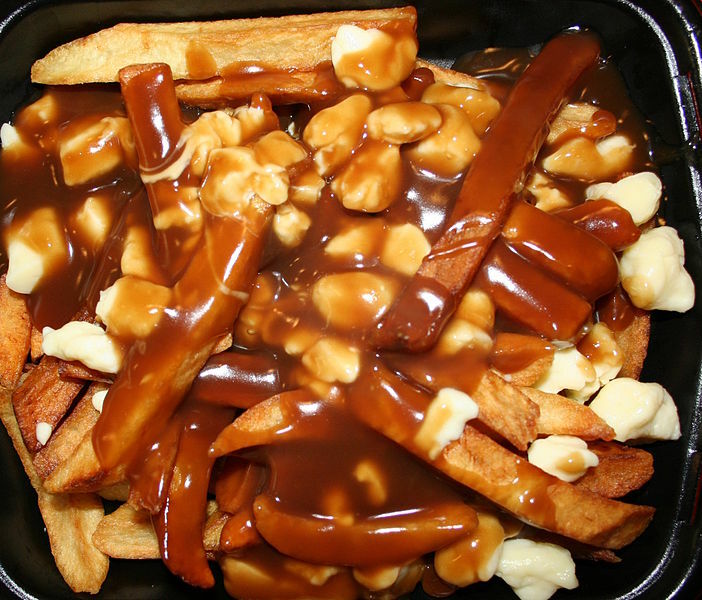 There are annual poutine festivals held in Ottawa, Toronto, Vancouver, Fredericton, Drummondville, and even Chicago. 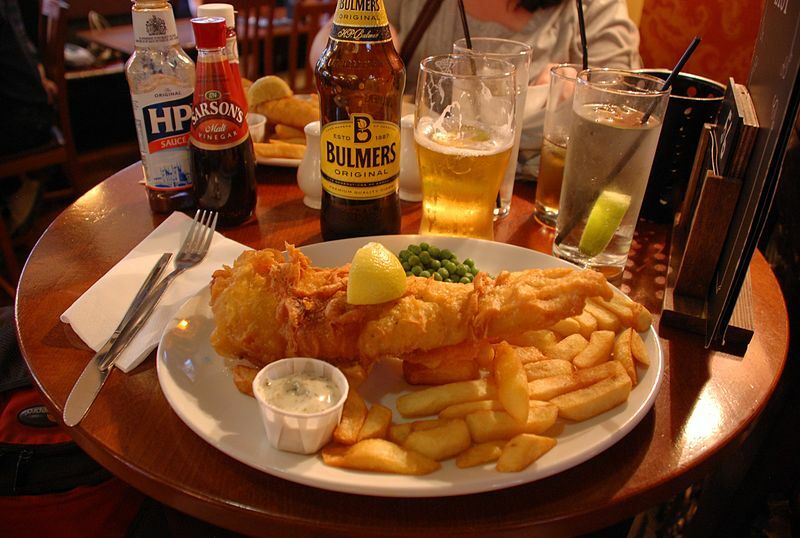 In Britain, fries are called chips, as in fish and chips, and chips as we knew them are called crisps. 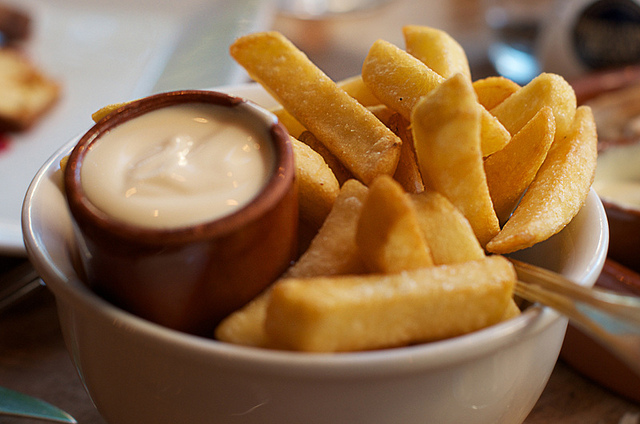 Chips are traditionally eaten with a sprinkling of malt vinegar and then salt. Chip shops once served them on newspapers in lieu of paper plates, and today paper is often used instead of boxes or plates. However, as this recent article points out, there are regional differences and a newer tradition of curry chips, due to Indian influence on British food. Some prefer non-malt vinegar or HP sauce. As the thousand+ comments point out, there is no consensus on the matter. Photograph by Flickr user Robert Terrell. The most common way to eat fries in the U.S. is with ketchup, although that may be because restaurants rarely offer any other choice. There are plenty of other toppings, including cheese, chili, hot sauce, barbecue sauce, onions, ranch dressing, and the sauces used in other nations. In restaurants, you often have to pay extra for them. In researching fries in other countries and in the US, a couple of generalities came up again and again. Food critics and chefs agree that the best fries are cooked twice: first frying them at a low temperature or boiling them to make the potatoes tender, and then frying at a hotter temperature to make the outside hot and crisp. And most agree that animal fat makes better tasting fries than any vegetable oil. Enjoy your fries!